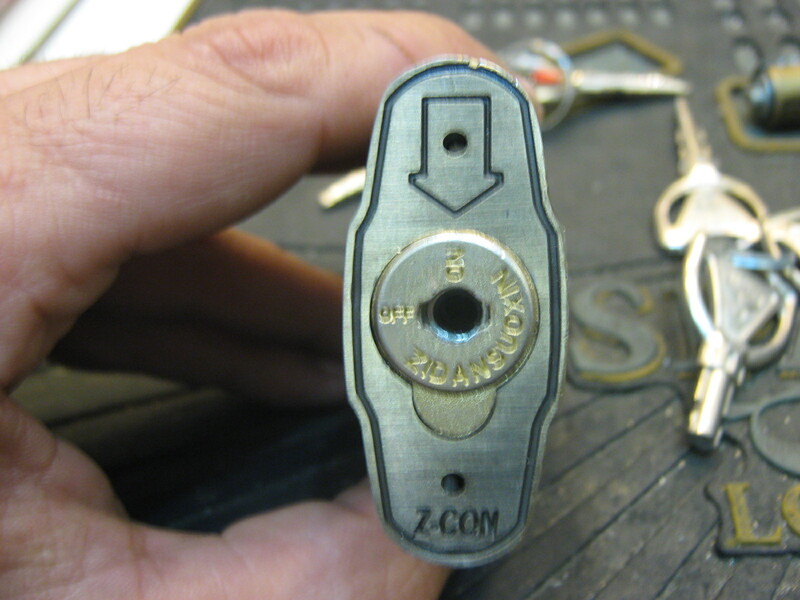 The lock is called Z-Con and I’m not sure where it is made. 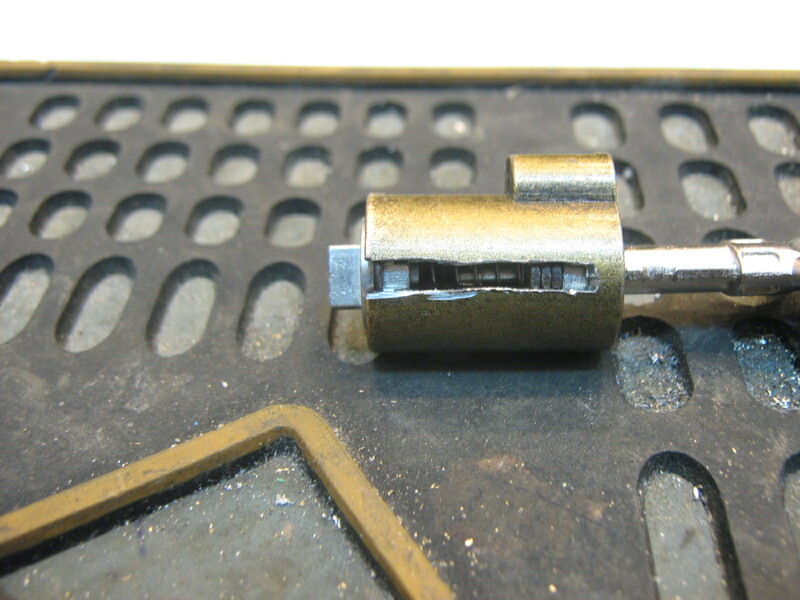 The mechansim and the style of the lock are very similar to other French locks I know. 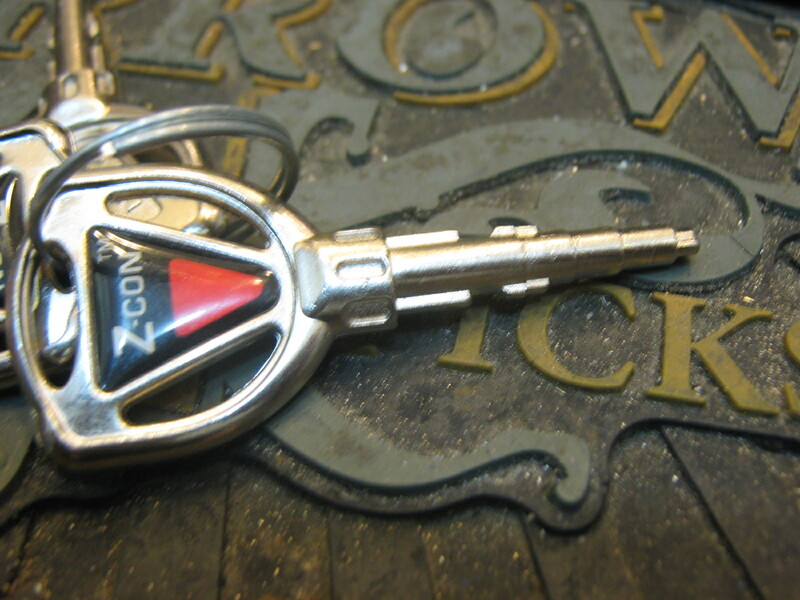 The is very strange looking key but has a very clever design ,It’s not only the spaces between the discs, it is also the thickness of the key that enable the lock to open. 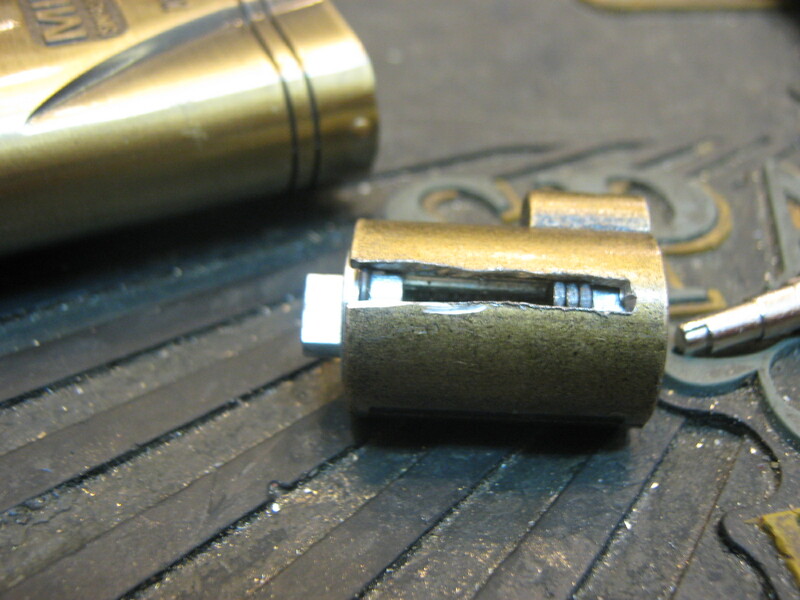 Like many French pompes locks the face of the lock doesn’t turn at all. 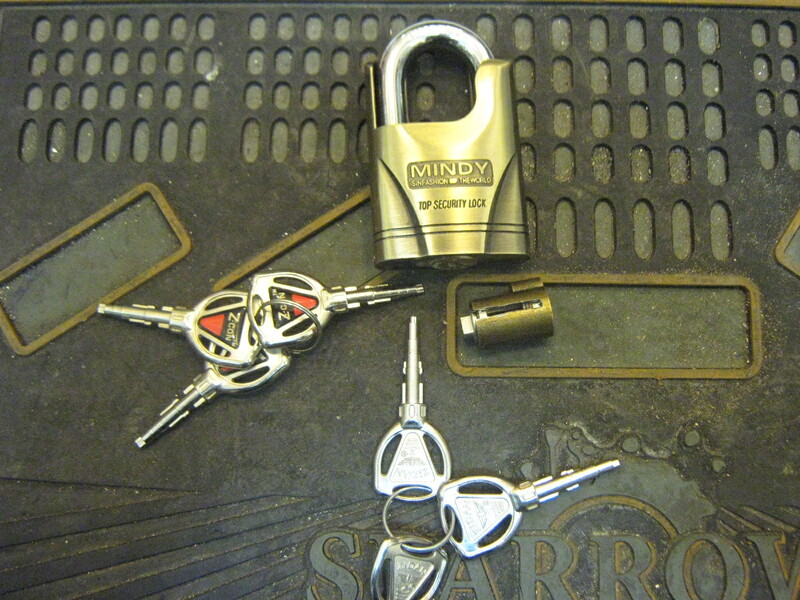 This makes this lock very hard to pick. 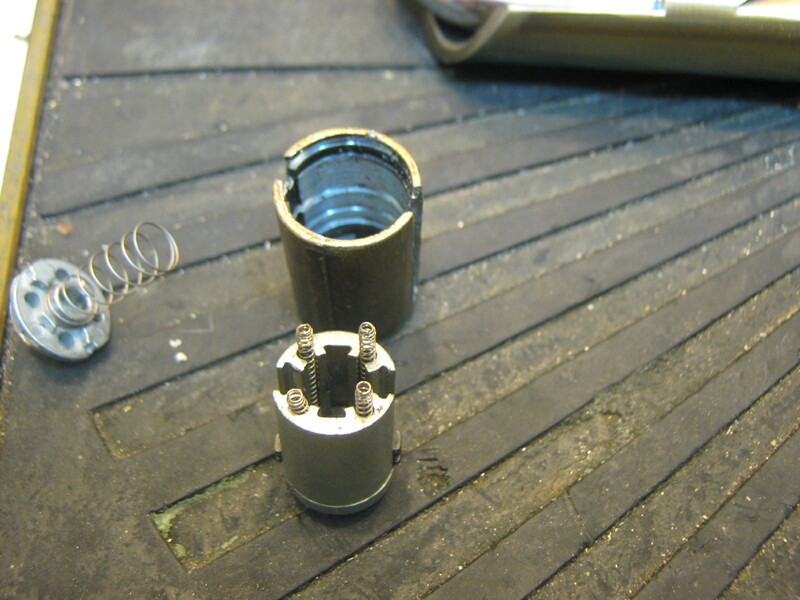 The lock itself only contains 3 discs but inside the core of the lock there are also 3 grooves that the discs must sits in before the lock can be opened. Here is the sheer line. The lock doesn’t have a card to go with which makes me wonder about the make of the lock. 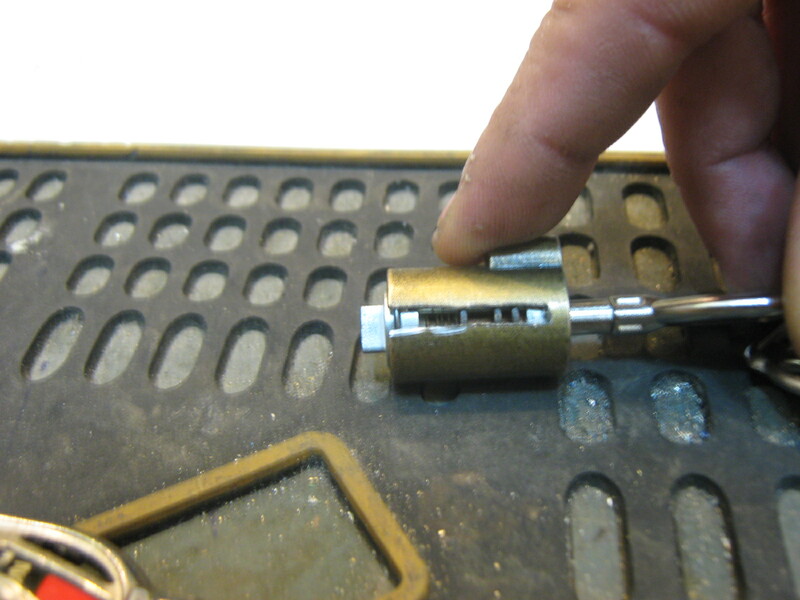 It would be very interesting to find out how a key is copied to this lock.